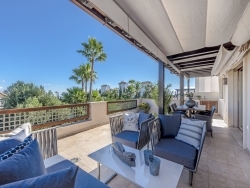 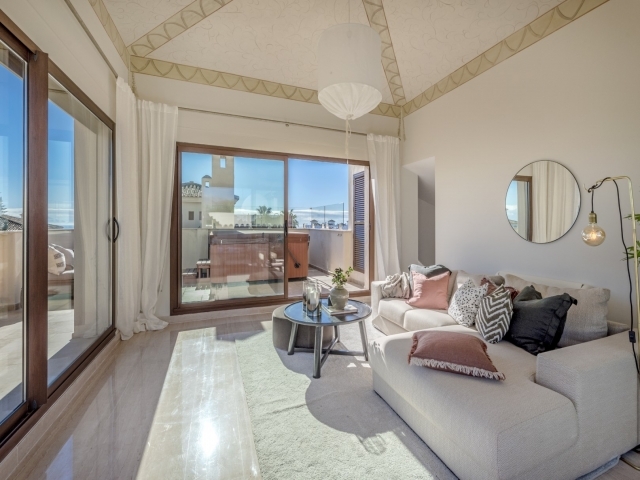 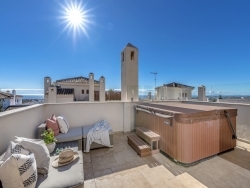 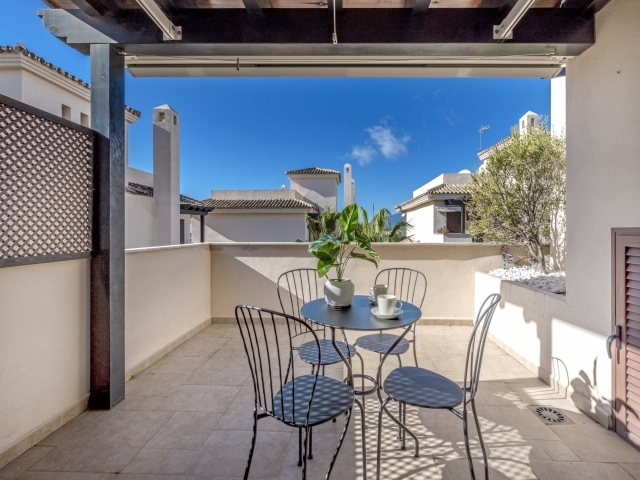 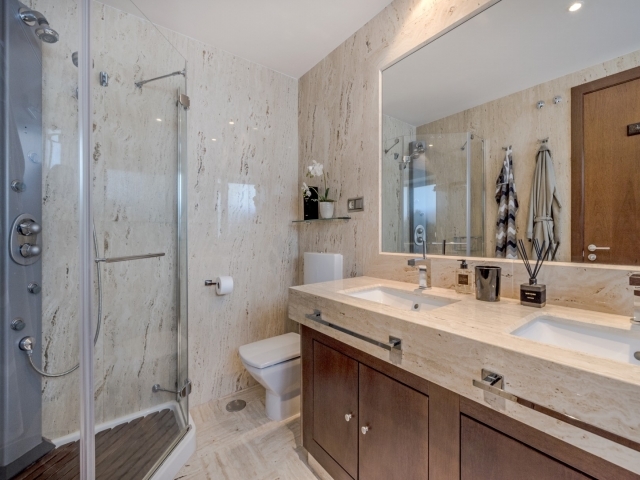 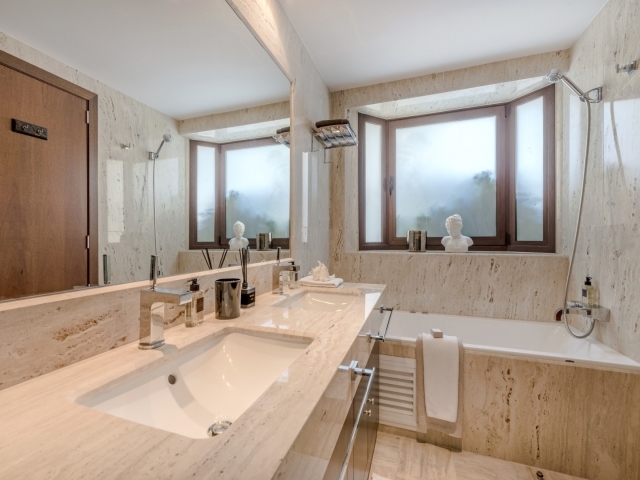 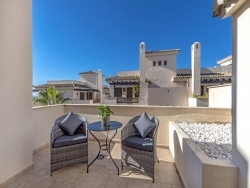 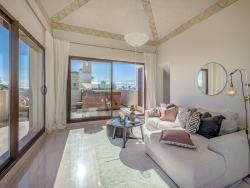 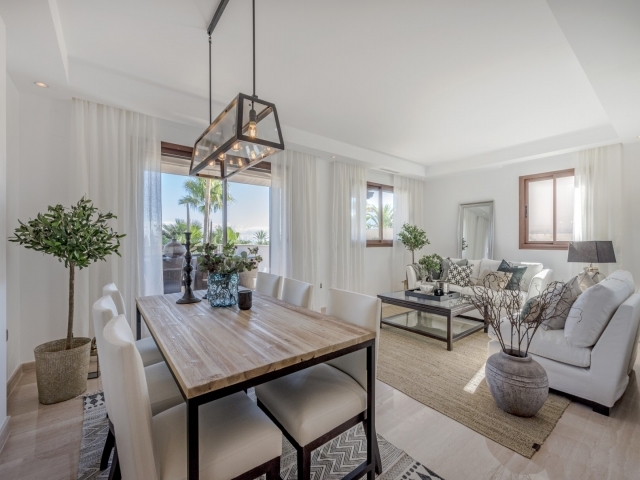 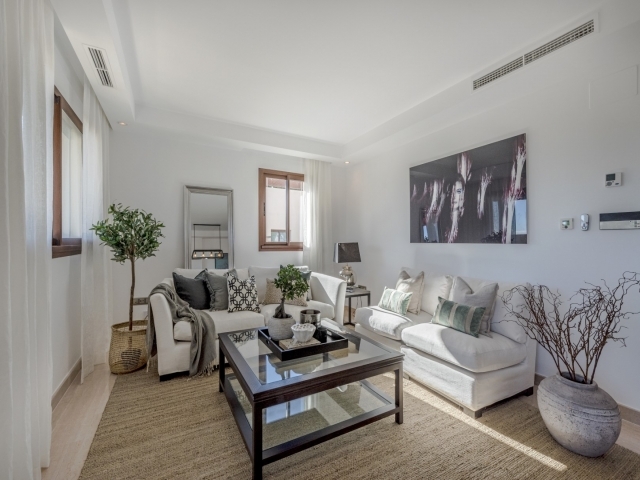 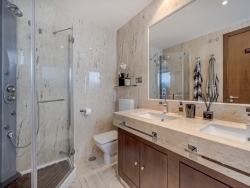 Three bedroom duplex Penthouse in Medina de Banus for sale. 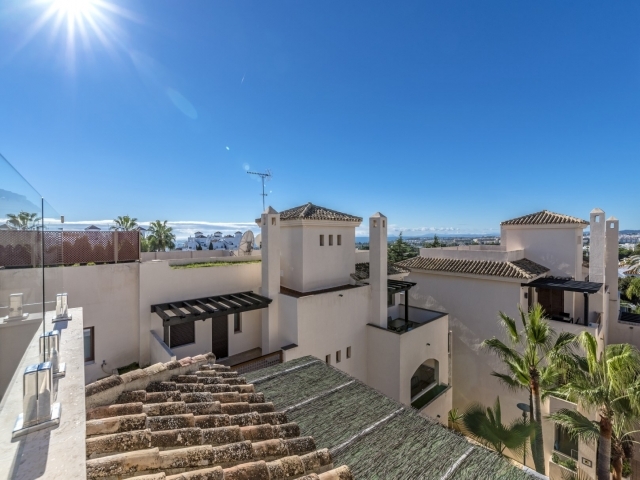 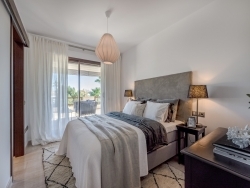 Medina de Banus is one of the most popular developments in Nueva Andalucia. 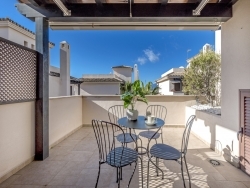 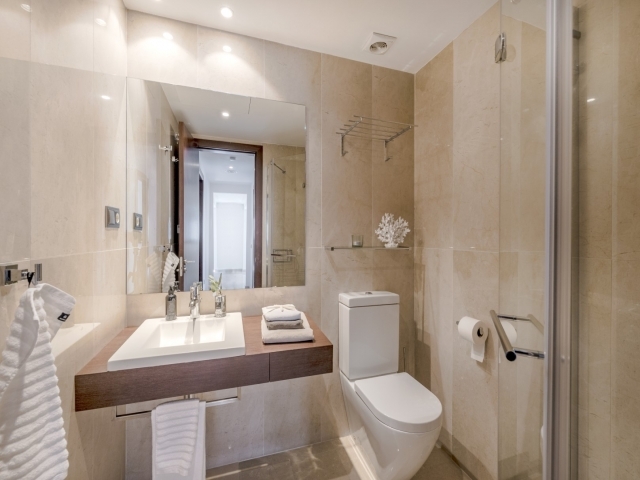 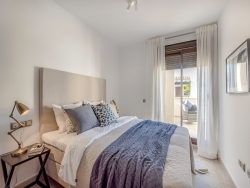 It is located next to Centro Plaza and is walking distance to Puerto Banus and sandy beaches. This unit offers sensational views over the coastline stretching as far as the scenic and picturesque mountains. The property comprises of an entrance level with a great sized fully fitted kitchen plus a lovely little terrace perfect for serving breakfasts in the sunshine and enjoying the sensational sunsets whilst entertaining guests in the evening. 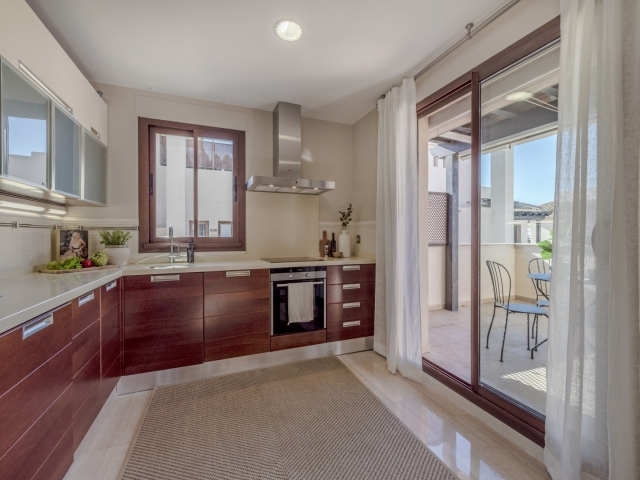 There are 3 light and bright double bedrooms, 2 bathrooms and a guest lavatory on the entrance level. 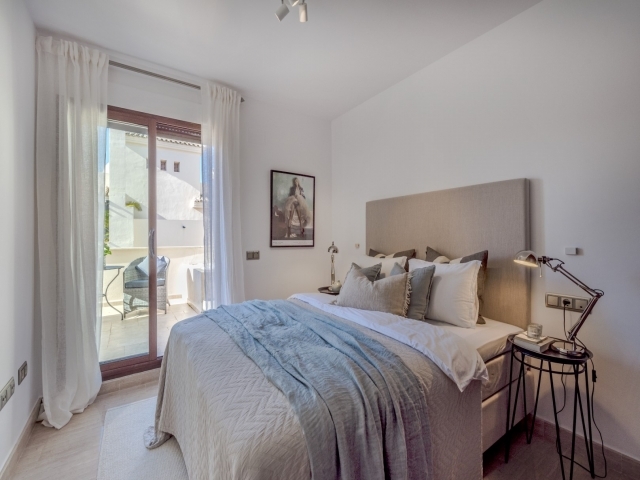 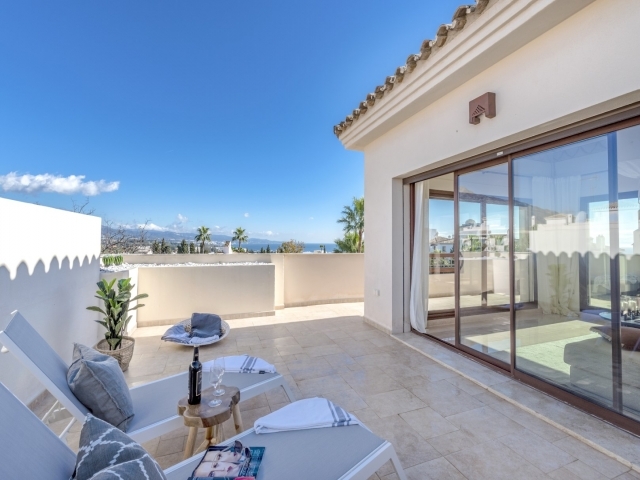 The upper floor comprises of a spectacular room with 3 sliding doors leading out to an unbeatable terrace with sea views, sun loungers and a Jacuzzi. This is a wonderful apartment with magnificent views and a lovely, modern and cosy ambience; perfect for families, or golf-lovers, looking for a holiday base with all amenities on its doorstep.